Hand of the Devil slots pokies - now online, we have the free version. Hand of the Devil is a basic video pokie that is offered by Bally Technology and the game has a fiery theme that will amuse players and allow them to win some great payouts when the free spin round is triggered. 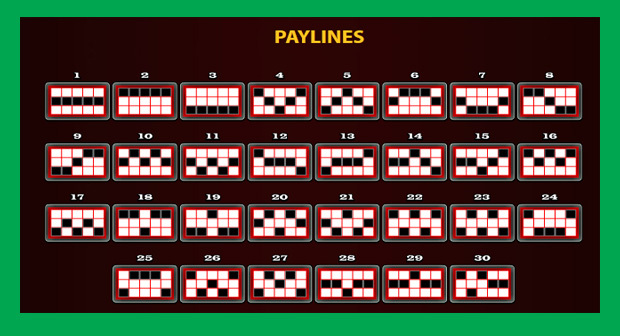 The game is a five reel video pokie and offers 30 paylines with multiple coin denominations supported. With some basic features, the game can be rewarding, but it is surely not the most entertaining slot machine online. It does lack animations and added bonus features, but anyone that is looking for a standard game will enjoy a few spins on it right below! With a devil theme, there are four main symbols that are used in the game and these include hearts, spades, clubs and diamonds. All of these are presented well with some accessories surrounding them like horns and wings. There are also standard playing card icons that are used. The graphics are basic and they are nothing that will take one’s breath away, but with crisp and bold colours, it is an attractive game. The game can be played as a penny pokie and those that wish to wager more will have the ability to increase the line bet to $10 per line for a maximum bet of $400 per spin. There is also a bonus bet that can be placed for an additional amount and this will enable extra game features. The cost of this bet is 10x the line bet. The top base game payout offers a reward of $2000. The highlight of this game is the free spin round and this is triggered with three or more scatter symbols on any position on the reels. Prior to the free spin round starting, players will select one set of playing cards and these will appear as extra wilds on the middle three reels, offering between 1x and 5x the payouts. These wilds will also appear stacked and will remain in place during the remaining free spins. There is no second screen bonus or any other onus feature in the game, so players will have to rely on the free spins to boost payouts. Hand of the Devil is a very basic online pokie that may not appeal to many players. Since there is a lack of animations and added bonus features, most players will choose another themed game that offers more overall. This game is best for small budget players or those that like a simple game with not many added features. However, there are some great payouts that can be collected, so it can be a rewarding game, but in terms of a visual appeal, this game leaves a lot to be desired and is one that most players will avoid when playing the poker machines at net casinos. This game is not up to the standard of most IGT and Aristocrat online pokies and slots machines that’s for sure!